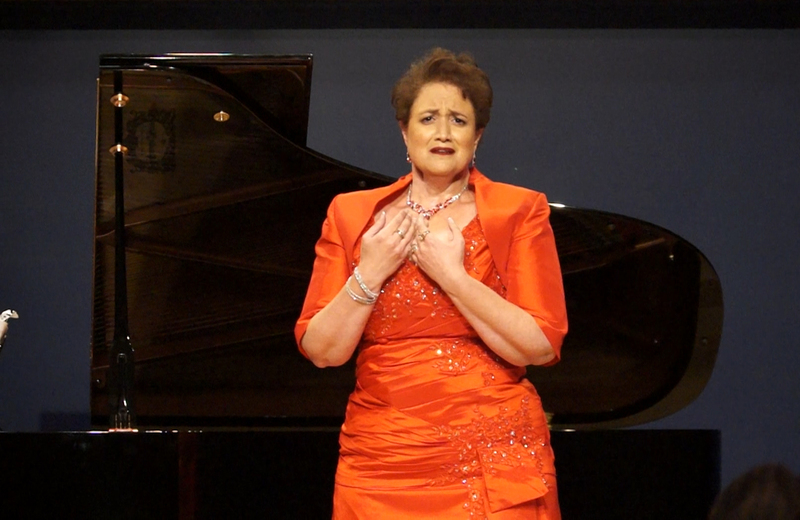 Described as having the ideal voice for Strauss, Regina Zona’s performance abilities have earned her great success and acclaim throughout her career in a broad range of repertoire. She has enjoyed a long history of performing with symphonies around the world in oratorio and concert works, including Knoxville Summer of 1915 (Barber), Beethoven’s Symphony No. 9, Mahler’s Symphony No. 8, the Mozart Requiem, Orff’s Carmina Burana, Poulenc’s Gloria and the Vier letzte Lieder by Strauss, with organizations including Tokyo Symphony, Orquesta Sinfónica del Estado de México, and the Buffalo Philharmonic. 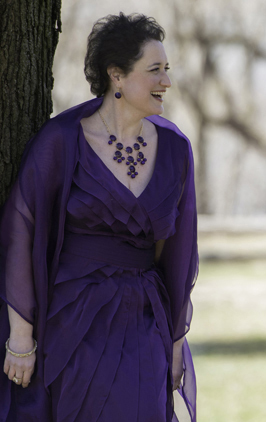 An avid and frequent recitalist, Regina specializes in the performance of American art song. She has recorded several of Jake Heggie’s song cycles for the NAXOS American Classics label with pianist Kathleen Tagg, with whom she also performed several American Song recital tours worldwide. Regina has won numerous competitions, including the Neue Stimmen International Vocal Competition, the Mario Lanza Competition, Giargiari and Arturo Bel Canto Competition, and the Liederkranz Society of New York Competition. Her early career included roles such as the Queen of the Night (Die Zauberflöte) and Musetta (La bohéme), performed to critical acclaim: Opera Magazine described her as having “tone to spare…a multicolored vocal portrait, filled with compelling nuances.” Her current repertoire includes Chrysothemis (Elektra), Donna Anna (Don Giovanni), and the title roles in Ariadne auf Naxos and Vanessa, among others. 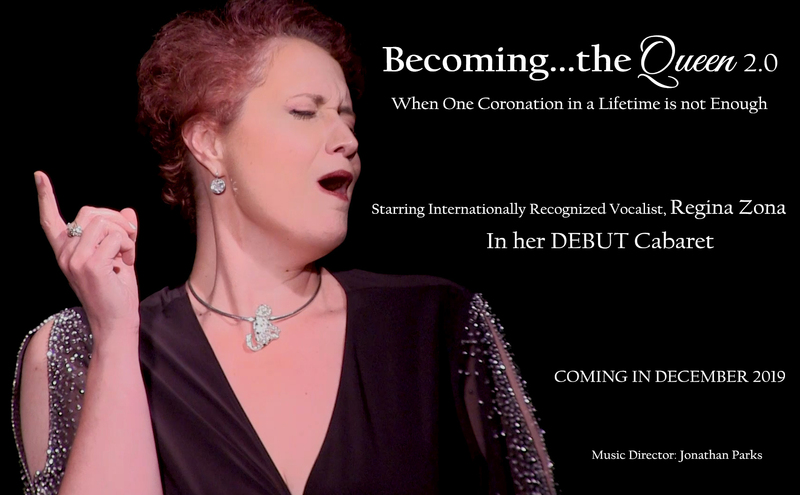 Embarking on a new path is her diverse career, Regina has written and performed a one-woman show exploring her childhood and musical development into adulthood and in 2019, she will debut her first cabaret, Becoming…the Queen 2.0: When One Coronation in a Lifetime is not Enough. Regina has several new projects in the works. In 2018, she became a podcast host! Her podcast, True Confessions of a Still Fabulous Diva is a fun venture that allows her to exploit her love of story-telling and obsession with self-help books. So far there are 13 fun-filled episodes with more to come in 2019! Check them out! In 2018, Regina debuted her one-woman show, “Becoming…the Queen: One Woman’s Self-Help Journey to Authenticity” at Dreamland Arts in St. Paul, MN.